Got a celebration or event that requires a marquee? 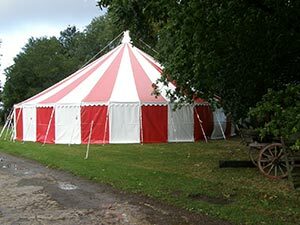 We hire out a wide range of marquees. Most of us have an image of a traditional marquee in mind. It’s white, with a vintage canvas design, and the classic rope and pole look. And while many marquees do undoubtedly look like this, there is a lot more variation than you might think. Below is a closer look at some of the other types of marquees commonly used for weddings and events in the UK. For more marquee hire Ipswich ideas and information, Get in touch and find out more about what we can do on 01953 882 394. Built around a rigid frame, there is no need for interior poles or ropes so they can be very useful in awkward spaces and sites. These kinds of marquees are very practical and ideal for catering spaces and walkways too. These pointy hat marquees are perfect for chill out spaces and an interesting and alternative take on the classic marquee. We not only supply this style of marquee but we can help with deciding on the interior, to get the most out of the unique shape. Very close in appearance to the kind of marquee we mentioned above, this is a classic romantic design with inner poles and ropes. So you need to bear in mind that there should be space around them when considering venues. This is a very contemporary kind of marquee that’s eye catching and can be used to cover unusual spaces. With great flexibility of use, stretch tents can be both large or small, with sides left open to maximise the outdoor space and views.